Wooden Blinds & Faux wood Blinds are among those sellable blinds today. When it comes to window blinds, most of us would definitely wish to provide something which can create an ambiance of warmth and coziness all the time. Wooden Blinds & Faux wood Blinds can satisfy your needs on their own way and they both have their own versatility. 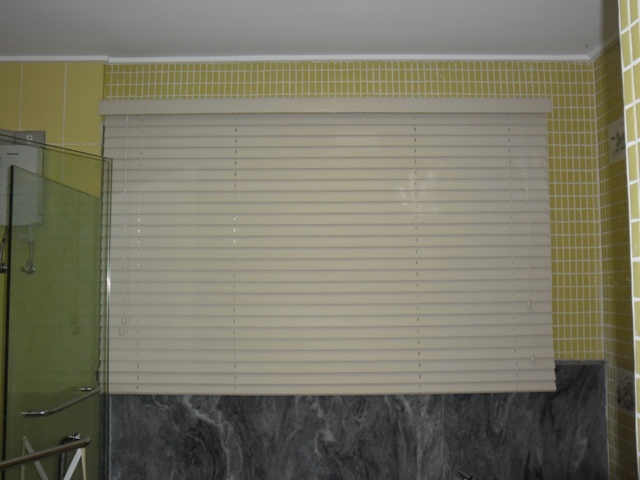 The photos above are from one of our client at Batangas City who opted for a white color of Faux Wood Blinds. Faux wood Blinds can imitate the look and the feel of real wood blinds in a much cheaper way, that’s why faux wood blinds are considered to be a great alternative to genuine wood blinds. They are usually made from a combination of polyvinyl (PVC) material and wood grains, thus making them moisture resistant, scratch resistant and UV rays protected. They can be best to use in a high humidity areas like kitchen, bathroom, etc. and easy to clean by just soap and water. Faux Wood Blinds become popular in the market nowadays and budget friendly alternative which can help us achieve both warmth and coziness. Wood Blinds can create a cozy and warmth environment in an effortless manner. Even though faux wood blinds can imitate wood blinds, the classy look that real wood can offer are still unbeatable. Wood Blinds are made of various wood grain patterns and lighter than those of PVC material, thus making it easier to lift. More natural wood stained colors are available compared to faux wood blinds. In contrary to faux wood blinds, wood blinds are applicable for dry areas for they are not moisture resistant and scratch resistant. Wooden blinds may cost higher than faux wood blinds but its features worth it. 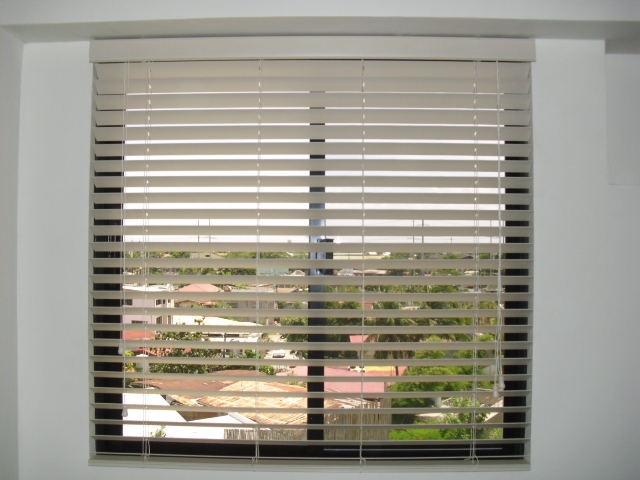 The photo above is installed real wood blinds at Quezon City, Philippines. Furthermore, it will be necessary to figure out first where the blinds will be going to install and in what sort of surrounding. 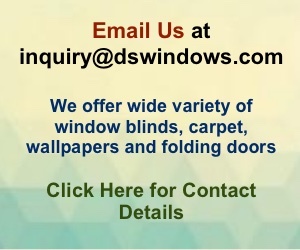 For more details, contact us at (02) 403-3262 or 0916-311-3909, or email us at inquiry@dswindows.com.